This week’s notable decision is now old news to you ERISA junkies, but Monday’s U.S. Supreme Court opinion in Tibble v. Edison International, is still good news for plan participants (because seriously, SCOTUS, what have you done for us lately?). In a unanimous decision, the Supreme Court held (correctly) that the Ninth Circuit erred by finding breach of fiduciary duty claims alleging imprudent fund offerings were time barred simply because their initial selection took place beyond the 6-year limitation set forth in ERISA Section 413(1). Although this is a great decision for plan participants generally, the quibble is not over for Tibble. In Tibble II, the Ninth Circuit will address whether the plaintiffs forfeited the argument that the defendants committed new breaches of the duty of prudence by failing to monitor their investments and remove imprudent ones absent a significant change in circumstances. The court may also address whether the Plan fiduciaries had a duty to review the contested mutual funds and if so, the kind of review it required. And, you can count on ERISA Watch to review the decision when it comes out. Enjoy this week’s summaries! Ninth Circuit erred in concluding that breach of fiduciary duty claims were untimely, based solely on the initial selection of funds, and without considering the contours of the alleged breach of fiduciary duty. In Tibble v. Edison Int’l, No. 13-550, __S.Ct.___, 2015 WL 2340845 (U.S. May 18, 2015), the U.S. Supreme Court unanimously held that the 9th U.S. Circuit Court of Appeals erred by finding breach of fiduciary duty claims alleging imprudent fund offerings were time barred simply because their initial selection took place years ago. The Supreme Court remanded the case to the 9th Circuit to consider the plan participants’ claims that various plan fiduciaries breached their duties within the relevant statutory period, by failing to remove the allegedly-imprudent funds from the investment lineup. By way of background, this case involves breach of fiduciary duty claims brought by participants in the Edison 401(k) Savings Plan – an individual account, defined contribution plan- for, among other things, failing to act prudently by offering certain high-cost retail-class mutual funds as investment options. The 9th Circuit found that the plan fiduciaries did not act prudently when they decided to include retail-class shares of three specific mutual funds as investment options without considering the possibility of lower-cost institutional classes for the funds, but held that the act of designating an investment for inclusion starts the six-year period for claims asserting imprudence in the design of the plan menu. The petitioners and the U.S. Department of Labor argued that the 9th Circuit erred by finding that the statute of limitations starts running under ERISA Section 413(1) for claims alleging imprudent fund offerings from the moment the fiduciaries made the decision to include those investments in the plan. 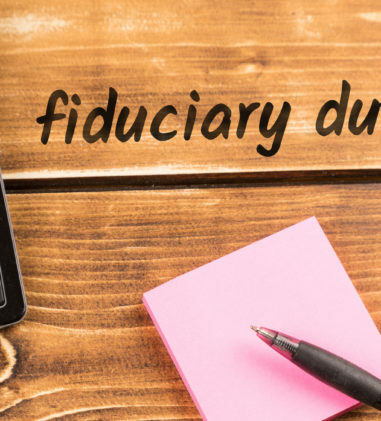 Because fiduciary duties are ongoing, the petitioners contended that these claims are timely for as long as the underlying investments remain in the plan. The 9th Circuit rejected this argument and held that Section 413(1) barred any claim of fiduciary breach as to those mutual funds because plan fiduciaries have no duty to review and remove imprudent or disloyal investments from a plan unless changed circumstances warrant a full due diligence review of the funds. 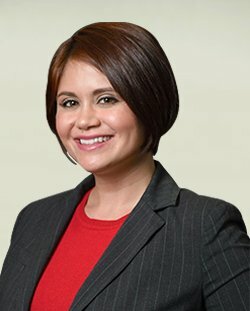 In its decision, the Supreme Court explained that under trust law a fiduciary is required to conduct a regular review of its investment with the nature and timing of the review contingent on the circumstances. Perhaps seeing the writing on the wall, respondents conceded that under trust law the duty of prudence involves a continuing duty to monitor investments and remove imprudent ones. However, respondents argued that petitioners did not raise the claim below that respondents committed new breaches of the duty of prudence by failing to monitor their investments and remove imprudent ones absent a significant change in circumstances. The Supreme Court left for the 9th Circuit to decide any questions of forfeiture. Assuming the 9th Circuit does not decide the case on the procedural ground of forfeiture, the questions it will have to address are: did the Plan fiduciaries have a duty to review the contested mutual funds and if so, what kind of review did it require? The Supreme Court left open the possibility that the 9th Circuit, after considering trust-law principles, will conclude that the Plan fiduciaries did indeed conduct the sort of review that a prudent fiduciary would have conducted absent a significant change in circumstances. MetLife did not abuse its discretion in refusing to include approximately 2.4 million of an arbitral award as wages for purposes of calculating pension benefits. In Roganti v. Metro. Life Ins. Co., No. 13-4532-CV, __F.3d___, 2015 WL 2251503 (2d Cir. May 14, 2015), the 2nd Circuit reversed the district court’s grant of summary judgment in favor of the plaintiff-plan participant, in this matter where Plaintiff contended that the administrator’s failure to include an award by an arbitral panel of $2,492,442.07 million in his favor and against his employer in his historical income when tabulating his pension violated ERISA. Plaintiff had brought arbitration proceedings against MetLife before the Financial Industry Regulatory Authority (“FINRA”), seeking, among other things, wages that he would have been paid but for the retaliatory pay reductions, as well as compensation for the decreased value of his pension, which was tied to his wages. The FINRA panel awarded Plaintiff “compensatory damages,” but its award did not clarify what that sum was compensation for. MetLife denied Plaintiff’s claim for a pension benefits adjustment because the FINRA award did not say that it was, in fact, back pay. The court held that the administrator’s refusal to include the award in Plaintiff’s historical income when tabulating his pension was not arbitrary or capricious. MetLife was not required to comb through thousands of pages of arbitration testimony in order to reverse-engineer an explanation for an arbitral award. As such, the district court erred by using this as a reason to grant less deference to MetLife’s determination on remand. The court also held that the administrator’s “categorical” conflict of interest was not entitled to any weight in the court’s assessment because there was no evidence that the conflict actually affected the decision and MetLife submitted an unrebutted affidavit that averred, among other things, that MetLife’s business and finance departments are kept completely separate from the administration of the Plans. 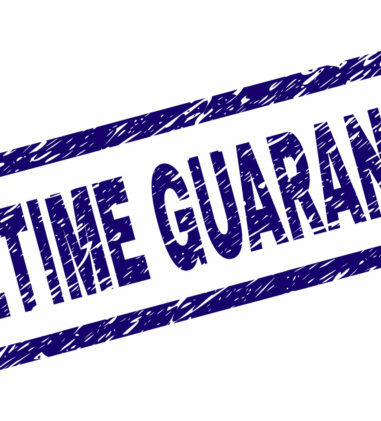 Imprudent investment claims are time-barred and fail to state viable breach of fiduciary duty claims. In In re Citigroup Erisa Litig., No. 11 CV 7672 JGK, __F.Supp.3d___, 2015 WL 2226291 (S.D.N.Y. May 13, 2015), Plaintiffs allege that Defendants violated their fiduciary duties of prudence and loyalty by allowing the Plans to continue to hold and purchase Citigroup stock despite abundant public information regarding Citigroup’s precarious condition and the riskiness of Citigroup stock. Plaintiffs also allege a duty of prudence claim based on Defendants’ failure to respond prudently to nonpublic information. Plaintiffs allege further claims for the failure of Citigroup, Citibank, and the Director Defendants to monitor and adequately inform other fiduciaries, and a claim for co-fiduciary liability against all defendants. Defendants moved to dismiss the Third Consolidated Amended Complaint pursuant to FRCP 12(b)(6). 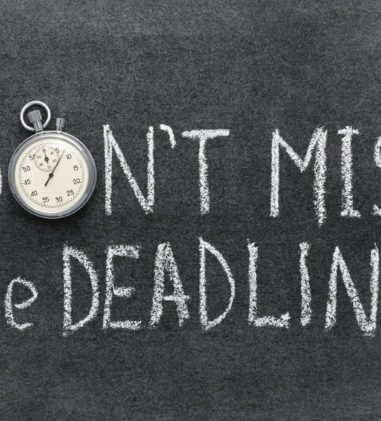 The court found that Plaintiffs’ ERISA claims are time-barred because Plaintiffs had knowledge of all of the facts necessary to constitute their ERISA claims prior to December 8, 2008 and they did not file the present action until December 8, 2011. The court determined that one defendant’s 2008 public statement that Citigroup was “entering 2009 in an even stronger position than [it] entered 2008,” cannot be termed “concealment” for purposes of the ERISA statute of limitations because it did not wipe away the actual knowledge that Plaintiffs had of the perilous condition of Citigroup, the precipitous drop in the stock price, and the continued availability of the Citigroup Common Stock Fund as an investment option in the Plans. The court found that Plaintiffs did not have standing to bring breach of fiduciary duty claims under the Citibuilder Plan because it is only available to employees who are bona fide residents of Puerto Rico or who perform services primarily in Puerto Rico and there are no named plaintiffs that qualify as participants or beneficiaries for the Citibuilder Plan. The court also dismissed all claims against defendants other than the Investment Committee and Administration Committee members because they depend on allegations that those defendants breached fiduciary duties that they did not have. The allegation that Citigroup may direct the trustee (Citibank) to receive company stock in lieu of cash dividends and to sell the shares so acquired, or an equivalent number of shares already held in the Trust, at such market price, is not enough to constitute fiduciary conduct. The court also determined that because Plaintiffs did not identified any special circumstances rendering reliance on the market price of the stock imprudent, Dudenhoeffer requires that their duty-of-prudence claim based on publicly available information be dismissed. With respect to the claim that the fiduciaries failed to act prudently in response to nonpublic information, the court dismissed this claim because Plaintiffs did not sufficiently allege that there was any material, nonpublic information to be disclosed. Lastly, the court dismissed the breach of the duty to monitor and for co-fiduciary liability claims since there were no antecedent breaches. Court rejects Catholic university’s ERISA arguments in action seeking to enjoin part of ACA which requires contraceptive coverage. In Univ. of Notre Dame v. Burwell, No. 13-3853, __F.3d___, 2015 WL 2374764 (7th Cir. May 19, 2015), the Seventh Circuit held that nonprofit Catholic university that brought suit against the Secretary of Health and Human Services to enjoin enforcement of part of the Affordable Care Act (ACA) requiring employers to provide employees with health insurance that covered contraceptive services failed to establish likelihood of success on the merits. The ACA states that “if the eligible organization provides a copy of the self-certification [EBSA Form 700] of its objection to administering or funding any contraceptive benefits … to a third party administrator [Meritain], the self-certification shall be an instrument under which the plan is operated, [and] shall be treated as a designation of the third party administrator as the plan administrator under section 3(16) of ERISA for any contraceptive services required to be covered under § 2590.715-2713(a)(1)(iv) of this chapter to which the eligible organization objects on religious grounds.” 29 C.F.R. § 2510.3-16(b). Notre Dame argued that had it not filled out the EBSA Form 700, Meritain wouldn’t have been authorized to provide contraceptive services because it would have been a “plan administrator” under section 3(16), and thus not a plan fiduciary entitled to make expenditures (as for contraception coverage) on behalf of the plan. Notre Dame further argued that it alone is authorized to designate a plan fiduciary, and that it made that designation in the form that it mailed to the company and thus is complicit in the provision of contraceptives to the university’s staff. The court found that Notre Dame’s “triggering” argument does not apply to Aetna, which is the students’ health insurer and so already a plan fiduciary required by the ACA to provide contraceptive coverage to plan members whether or not Notre Dame signs the form. The court also found that Notre Dame has not been ordered to name Meritain as a plan fiduciary. Rather, the signed form “shall be treated as a designation of the third party administrator as the plan administrator under section 3(16) of ERISA for any contraceptive services required to be covered.” 29 C.F.R. § 2510.3-16(b). The treatment and designation is by the government, not the university. · On July 19, 2013, Plaintiffs filed suit. Breach of fiduciary duty claims survive dismissal upon omissions-based theory of liability. In Monper v. Boeing Co., No. 2:13-CV-01569-RSM, __F.Supp.3d___, 2015 WL 2250419 (W.D. Wash. May 13, 2015), Plaintiffs brought breach of fiduciary duty claims against several defendants based on their alleged provision of misinformation concerning Plaintiffs’ pension benefits. Plaintiffs claim that they were told numerous times by recruiters and HR personnel that their pension benefits would not change or be reduced upon transfer of employment; however, their early retirement benefits were significantly reduced in accordance with the terms of the written plan documents (which they received after they relocated). The court dismissed the claims against the recruiters and HR representatives, finding that they are not ERISA fiduciaries, but rather ministerial employees. To hold otherwise would essentially permit a recruiter to elevate herself or himself to the position of Plan administrator simply by speaking about the Plan, with all the responsibility and liability that doing so would entail. With respect to “Committee Defendants,” the court found that although they cannot be liable on the basis of respondeat superior for misrepresentations by the recruiters and HR personnel, the Committee’s failure to act rather than its role in affirmatively misrepresenting benefits, merits greater consideration. An ERISA fiduciary may be held liable not only for disseminating materially misleading information, but also for failing to affirmatively provide material benefits information, whether on its own accord or when prompted by a participant’s inquiry. The court also found that Plaintiffs plead sufficient facts giving rise to an inference that Boeing and McDonnell Douglas played a role in the production and dissemination of the misinformation. Lastly, the court declined to dismiss the co-fiduciary and failure to monitor claims against these defendants. In Niswonger v. PNC Bank Corp. & Affiliates Long Term Disability Plan, No. 13-4282, __Fed.Appx.___, 2015 WL 2239653 (6th Cir. 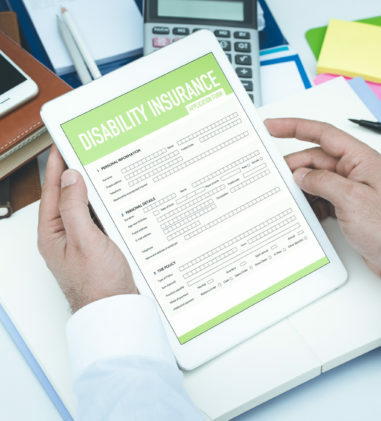 May 14, 2015), the Sixth Circuit reversed the district court’s order upholding Liberty Life’s denial of Plaintiff’s claim for long-term “any occupation” disability benefits. Plaintiff previously won a court order finding that Liberty Life abused its discretion in denying him “own occupation” disability benefits. The Sixth Circuit noted that the court in Niswonger I held, the record contains “verifiable objective results including a diagnosis of obstructive lung disease.” 2011 WL 3360262, at *8. Relying exclusively on a “paper review,” and with no evidence in the record indicating Plaintiff’s disease was cured after October 20, 2011, Liberty concluded that Plaintiff had attained full-time capacity from that date forward, including ability to perform his own occupation. 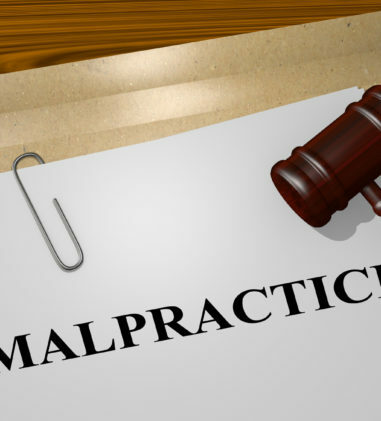 The court found that Liberty effectively disregarded reliable medical evidence, including objective test results and the medical conclusions of Plaintiff’s treating physicians. The court also found that its failure to satisfactorily rebut the medical evidence and not to request an independent examination constituted arbitrary and capricious decisionmaking. In Jewish Lifeline Network, Inc. v. Oxford Health Plans (NJ), Inc., No. 15-CV-0254 SRC, 2015 WL 2371635 (D.N.J. May 18, 2015), the court denied insurance company’s motion to dismiss state law claims by a health care service provider seeking to recover the cost of an ambulatory air-evacuation that it arranged. The court found that ERISA does not preempt Plaintiff’s claims since Plaintiff alleges that Defendant must pay for the costs of the emergency evacuation; not because the LMG Plan or ERISA require Defendant to do so, but because Defendant promised that it would. As such, it cannot be said that Plaintiff’s claims exist “only because of the terms of an ERISA-regulated employee benefit plan,” or that “no legal duty (state or federal) independent of ERISA” is present. In Smithson v. Smithson, No. CIV.A. 1:15-0583, 2015 WL 2359569 (S.D.W. Va. May 15, 2015), Plaintiffs brought state law claims against Defendant seeking damages related to 401(k) account proceeds which were distributed to Defendant. 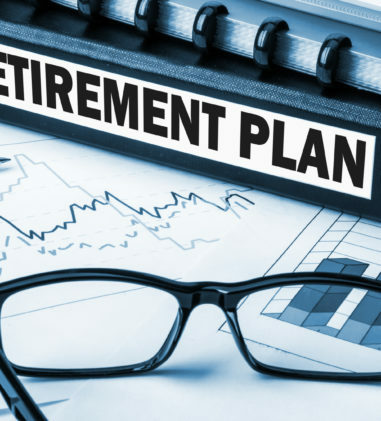 Defendant removed the action asserting ERISA preemption but the court remanded the action to state court, finding that no federal jurisdiction exists where the proceeds from the 401(k) plan have been distributed and are no longer held by the plan administrator. 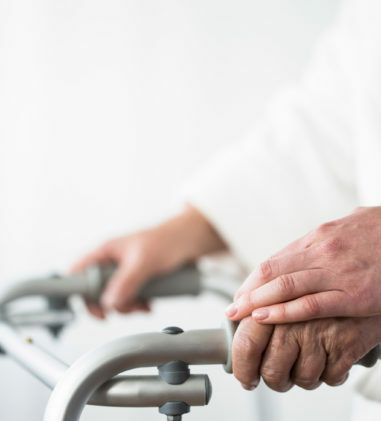 As to the unpaid pension plan benefits, Plaintiffs are not claiming that they should not be distributed to Defendant but, rather, that she has no legal right to retain them. Even if provisions of ERISA will be invoked as a defense to Plaintiffs’ claim, that fact alone does not establish Defendant’s right to removal. In JN’P Enterprises, LLC v. Companion Life Ins. Co., No. CIV.A. H-14-3633, 2015 WL 2341791 (S.D. Tex. May 13, 2015), the court found as not preempted an employer’s claim for reimbursement after Defendants represented to the employer that its employee was entitled to weekly benefit payments of $600 under an ERISA benefit plan for a period of two years and the employer made the payments. The employer could not bring its claim under Section 502(a)(1)(B) because it is not a plan participant or beneficiary. 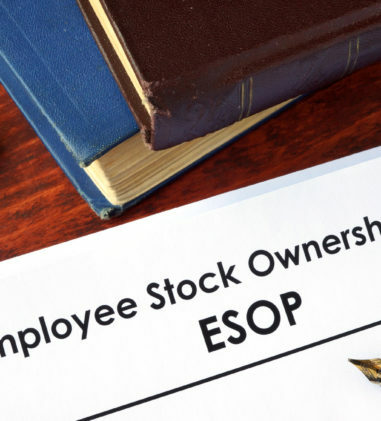 Defendants also failed to show that the employer is a fiduciary of the ERISA plan and has standing to pursue a claim for equitable relief under Section 502(a)(3). As such, the court remanded the claims to state court. In McCulloch Orthopaedic Surgical Servs., PLLC v. Aetna U.S. Healthcare, No. 15-CV-2007 KBF, 2015 WL 2183900 (S.D.N.Y. 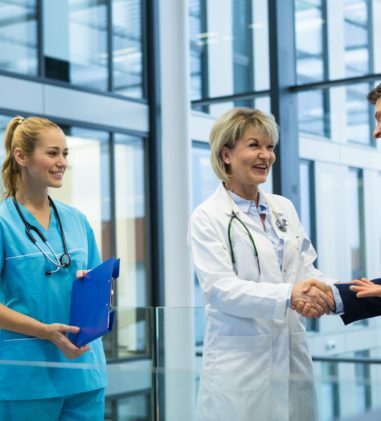 May 11, 2015), Plaintiff, an out-of-network medical provider, brought a state-law claim of promissory estoppel against Aetna for reimbursement of a surgery Plaintiff performed on a patient who is a beneficiary of an Aetna-administered health care plan. Aetna removed the action and Plaintiff filed a motion to remand. The court found that Plaintiff’s claim is properly one for coverage under an ERISA plan, denied the motion to remand, and ordered Plaintiff to file an amended complaint to assert ERISA causes of action. In Mallon v. Trover Solutions Inc., No. 14-3189, __Fed.Appx.___, 2015 WL 2372729 (3d Cir. May 19, 2015), the Third Circuit affirmed dismissal of a putative class action contesting the Appellees’ subrogation rights under a health insurance plan and seeking declaratory and injunctive relief pursuant to §§ 502(a)(1)(B) and 502(a)(3) due to failure to exhaust administrative remedies. The court rejected Plaintiff’s argument that exhaustion was not required for claims of breach of fiduciary duties since the court found that this involved a claim for benefits due. The court also found that exhaustion was not excused for Appellees’ failure to meet the notice requirements for an adverse benefits determination since Appellees substantially complied with the notice requirements by providing Plaintiff’s counsel with the document setting forth the subrogation rights and the procedures and timeline for filing an administrative complaint and appeal. Lastly, the court rejected Plaintiff’s argument that exhaustion was satisfied because there were no administrative remedies available to resolve subrogation disputes. Administrative appeals under the benefits program cover “disputes or objections regarding a Claims Administrator decision that concerns coverage terms,” and the benefits program outlines a complaint procedure by which plan participants can lodge any complaint with the Claims Administrator. In Pokorny v. Excavating Bldg. Material & Const. Drivers Union Local No. 436 Pension Fund, No. 1:14-CV-02821, 2015 WL 2250881 (N.D. Ohio May 13, 2015), Plaintiff filed suit against the Fund for payment of pension benefits and for breach of fiduciary duty, where the Fund represented to Plaintiff in writing that he was vested and would receive a pension benefit but then informed Plaintiff after he retired that he in fact did not have enough eligible service to vest in any pension benefit. The court dismissed Plaintiff’s Section 502(a)(1)(B) claim because the Board decided that the records did not support that Plaintiff had accumulated enough years of employment under the Plan to receive pension benefits. However, the court permitted Plaintiff’s Section 502(a)(3) breach of fiduciary duty claim to proceed, finding that Plaintiff established that Defendants were acting in their fiduciary capacity when they generated the letter informing him of his entitlement to benefits and that the letter constituted a material misrepresentation that he relied upon to his detriment. Lastly, the court found that Plaintiff properly plead the elements of an equitable estoppel claim against Defendants, explaining that the balance of equity strongly favors the application of estoppel to prevent Plaintiff from being left with no disability pension benefits for the remainder of his life. In Nutt v. Kees, No. 3:10-CV-00307-KGB, 2015 WL 2194180 (E.D. Ark. May 11, 2015), the court denied Plaintiffs motion to amend the judgment to provide equitable relief in the form of a surcharge and constructive trust. Plaintiffs argued that they should be awarded a surcharge making defendants liable for the “consequential damages of their actions, including but not limited to the financial hardship and impact on [p]laintiffs’ household as a result of carrying such large medical bills, the impact on [p]laintiffs’ credit history, and the financial stress and anxiety caused to [p]laintiffs in order to compensate fully for the consequence of the breach.” The court found that there was no precedent for awarding these types of damages. With respect to the requested constructive trust on funds anticipated to be paid to Defendant, the court found that the funds on which Plaintiffs seek a constructive trust do not in good conscience belong to them, but rather a purchase and sale agreement not directly connected to Plaintiffs in any way. As such, the court denied Plaintiffs’ motion for a constructive trust. In Ravannack v. United Healthcare Ins. Co., No. CIV.A. 14-2542, 2015 WL 2354186 (E.D. La. May 15, 2015), the court denied Defendant’s summary judgment motion on the standard of review. The plan at issue contained a “Discretionary Clause Amendment,” which deleted almost every reference to Defendant’s discretion. The court found that Texas state law prohibits the inclusion of discretionary clauses in insurance policies. The court noted that nearly half of all states either ban or restrict the use of discretionary clauses in insurance policies and every federal decision that the court could locate has enforced state law bans on discretionary clauses against ERISA plans. In light of this, the court determined that the “Discretionary Clause Amendment” was intended to bring the plan in line with Texas state law banning discretionary clauses. The court stated its inclination to hold that, pursuant to Texas law, the plan does not grant “discretionary authority to determine eligibility for benefits or to construe the terms of the plan,” but because Plaintiff made no motion on the standard of review and the grounds identified by the court were not fully briefed by the parties, the court gave Defendant an opportunity to file a brief. In Bartlett v. Comerica Inc., No. 3:14-CV-3809-B, 2015 WL 2359511 (N.D. Tex. 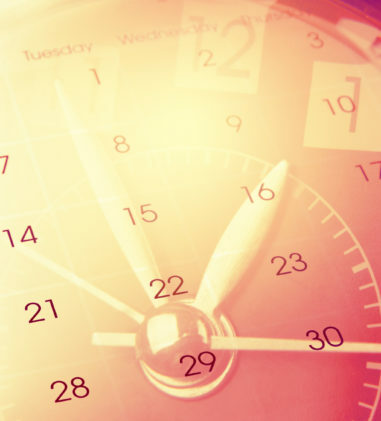 May 18, 2015), the court found that the 4-year statute of limitations did not begin to accrue when Defendant began allegedly underpaying Plaintiff’s retirement benefit. Applying the clear repudiation rule, the court concluded that based on the language of an April 2010 letter, and the context in which it was received, Plaintiff could not have been expected to know that his benefit had been miscalculated when he received the letter. Plaintiff did not request information about, or apply to receive, his benefits when he received Defendant’s communication about his benefits. Instead, Defendant sent this letter to Plaintiff after it realized it had made a mistake in not beginning payments to Plaintiff under the BEP plan within 60 days of Plaintiff’s resignation from Comerica. The court found this fact significant because having not requested information about his benefits, Plaintiff had less reason to closely scrutinize the letter. Further, nowhere did the letter state that Plaintiff’s benefit was being reduced from the $1,203.44 a month that Plaintiff had previously been told he would receive. Accordingly, the court could not definitively conclude from the facts alleged in Plaintiff’s complaint and incorporated documents that Plaintiff’s claim for benefits accrued more than four years before he filed suit in October of 2014. In House v. Aetna Life Ins. Co., Bank of Am. Corp., No. 8:15-CV-560-T-24 TGW, 2015 WL 2250976 (M.D. Fla. May 13, 2015), Plaintiff asserted a claim against Aetna, pursuant to 29 U.S.C. § 1132(c)(1), for failure to produce his claim file and Plan documents. In ruling on Aetna’s motion to dismiss, the court determined that Plaintiff did not sufficiently plead that Aetna was a de facto plan administrator. To be the de facto plan administrator, the entity must control the administration of the plan and control the dissemination of information. Plaintiff must allege that because Aetna undertook the responsibility to disseminate ERISA information and to control the administration of the Plan (due to Bank of America being an inactive plan administrator), Aetna is alleged to be a de facto plan administrator. The court rejected Aetna’s argument that Plaintiff cannot, as a matter of law, state a claim against it under § 1132(c). The court granted Plaintiff leave to amend the complaint in order to sufficiently allege that Aetna was a de facto plan administrator. However, the court found that Plaintiff cannot assert a claim under § 1132(c) relating to his request for his claim file. In Barnhill Contracting Co. v. Oxendine, No. 7:14-CV-211-FL, 2015 WL 2227848 (E.D.N.C. May 12, 2015), the court permitted Plaintiff (plan sponsor, administrator, and fiduciary of a health plan) to bring a claim under §502 a(3) against Defendants (plan participant and her attorneys) to enforce the reimbursement, subrogation, and recovery rights under the Plan. The court found that although the Fourth Circuit has not addressed the standard for equitable relief in a suit directly against a third party, such as an attorney holding settlement funds, other circuit courts of appeals recently have uniformly allowed equitable relief against third parties in circumstances analogous to the present case. The court determined that Plaintiff may seek a declaration as to its reimbursement and recovery rights under the Plan for specifically identifiable funds-the settlement proceeds up to the amount of $69,117.31 in medical benefits paid-in the possession and control of the defendant attorneys, where Plaintiff alleged that Defendants had notice of the plan’s subrogation rights. The court did not dismiss Plaintiff’s conversion claim but it did dismiss Plaintiff’s claims for internal or negligent interference with contract.